Washington (CNN) The state of Donald Trump is unrepentant and defiant. And while he says he’s open to compromise and national unity — it must be on his terms. In an often searing speech, Trump was who he was, is, and always will be: a sometimes awkward outsider, a disrupter and a President whose dominant leadership technique is to carve a political divide and pick a side. He deliberately stoked fresh tensions with Democrats over his border wall, using rhetoric that may make it more difficult to forge a compromise to defuse a standoff that is threatening to cause a second government shutdown. Yet at times, he offered a tantalizing promise of something more, conjuring moments of poignancy, as when he honored a World War II veteran and a Nazi concentration camp inmate the veteran helped liberate, together in the first lady’s box. In a speech in which rhetorical calls for common ground jarred with the rigidity of his policy positions, Trump did make an apparently genuine effort to bring Americans together. He tried to combine key themes from his 2016 campaign into a patriotic creed behind which everyone could unite. “I am asking you to choose greatness. No matter the trials we face, no matter the challenges to come, we must move go forward together. We must keep America first in our hearts,” Trump said. The question now is whether the President did anything to help his precarious political position or to narrow entrenched political battle lines. Apart from a pledge to work together on prescription drug prices, infrastructure and fighting cancer and HIV/AIDS, Trump offered few signs of flexibility on the political disputes that tear at national unity. 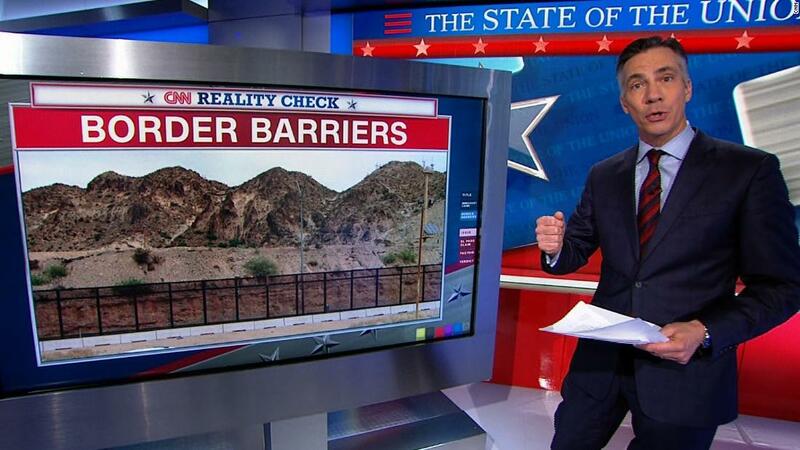 He signaled no retreat on his most quintessential, and divisive, campaign pledge, saying, “walls work and walls save lives,” and raising the specter of “caravans” of migrants massing for a “tremendous onslaught” on the border. “I will get it built,” Trump said. After a day of White House spin about how the President meant to unify a divided nation, he sent a clear message: Compromise means everyone needs to line up behind him and embrace some of the most polarizing goals of his presidency at home and abroad. The calls for unity appeared oddly dissonant from the President’s fervent appeals to his base on immigration, abortion and a vow to make sure America never becomes a “socialist country.” And on foreign policy and immigration there were characteristic falsehoods sprinkled along the way. The contradiction underlying the speech — that is also a theme of Trump’s entire presidency — was evident midway through. Trump created a tableau of togetherness by pointing out Matthew Charles from Tennessee, an African-American man who was the first inmate freed from prison under a bipartisan criminal justice act passed last year. “Matthew, on behalf of all Americans: Welcome home,” Trump said. Yet the warmth from that special moment soon faded when the President pivoted directly to tales of “ruthless coyotes, cartels, drug dealers and human traffickers” that recalled the racially charged rhetoric of his campaign. Time and again, the kind of national unity for which Trump’s scripted speech sometimes reached appeared on the verge of spontaneously breaking out. The chamber stood as one when Trump honored Judah Samet, a survivor of the Pittsburgh synagogue massacre and 10-year-old Grace Eline, who turned her cancer diagnosis into a spur to raise money for fellow sufferers. 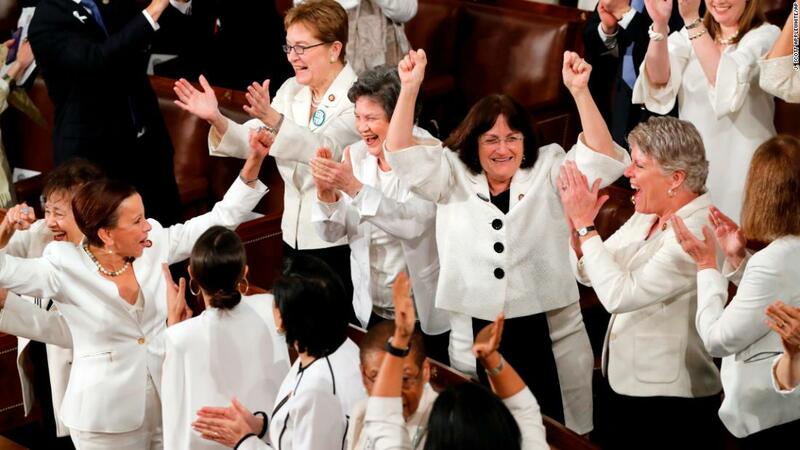 When Trump mentioned that 58% of newly created jobs had been filled by women, female Democratic lawmakers — wearing white in a show of equality — stood and cheered, effectively claiming the President’s applause line for themselves. “You weren’t meant to do that,” Trump said with a showman’s timing and in a gesture of generosity, reclaiming the moment. Trump came into the evening at one of the weakest moments of his presidency. He came off second best in his government shutdown showdown with Pelosi. He is in a box of his own making over the wall — and may be forced to trigger a constitutional conflagration by using executive power to get money to build it. 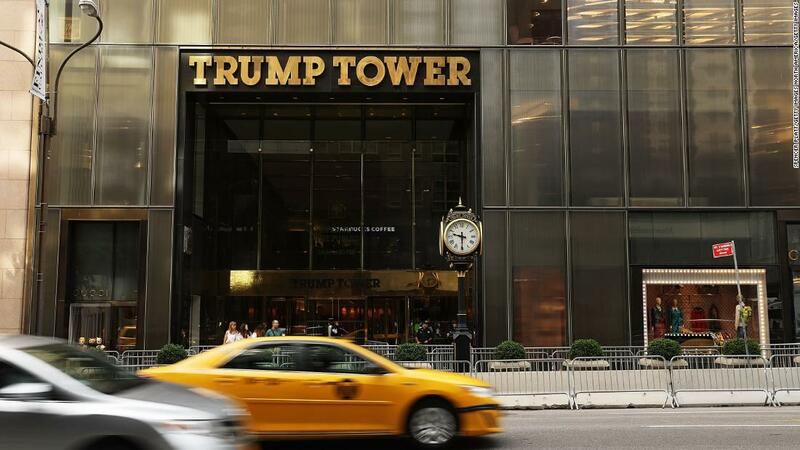 In a sign of the darkening cloud of suspicion surrounding his life and presidency, CNN reported that New York prosecutors want to interview Trump Organization executives just hours before the address began. Special counsel Robert Mueller may soon approach the end of his Russia investigation, which has already won a string of convictions and guilty pleas against Trump associates. The President responded with a threat, warning that a flurry of investigations against him and even the congressional oversight he never faced from the Republican House could derail economic growth and threaten the best job creation in decades. “An economic miracle is taking place in the United States and the only thing that can stop it are foolish wars, politics or ridiculous partisan investigations,” Trump said. Lawmakers in the House of Representatives offered an eloquent picture of how his speech was likely to be received in the country. To his right, a larger block of Democrats, many newly elected women with some 2020 Democratic White House hopefuls sprinkled in, sat and mostly stared. There was much rolling of eyes, shaking of heads and looks of contempt and bafflement in the Democratic ranks. 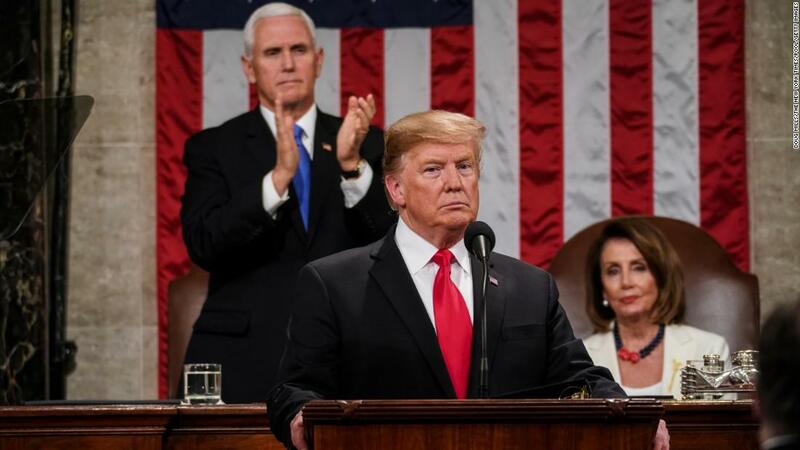 Behind Trump, Pelosi at times scoffed or chuckled as Trump hit his most inflammatory lines. At one point, as the address stretched well past the hour mark, Pelosi picked up her paper copy of the speech as if to see how much longer it would go on. 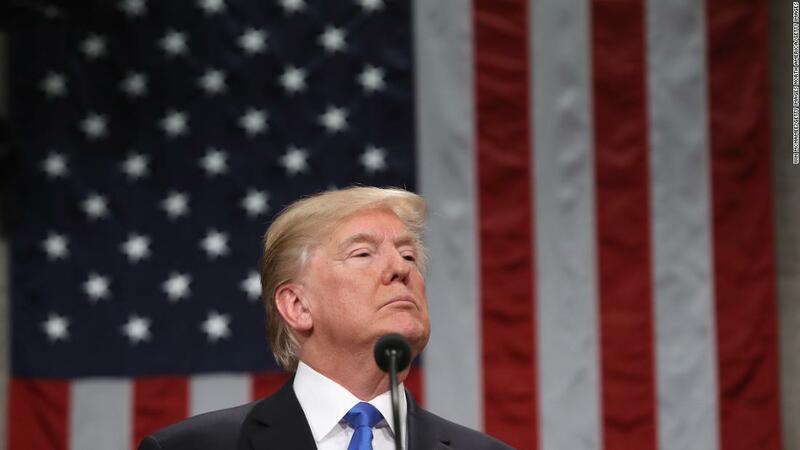 The evening was a clear sign from Trump that for all the speculation that he could finally broaden his appeal and court all Americans, his political course — solidifying his base — is set and irreversible heading into the 2020 election. For most presidents, a scripted occasion like the State of the Union address is a blueprint for days of events and remarks hitting on the same narrative. That’s rarely the case for Trump. The most authentic version of the President is usually to be found on his Twitter feed or in spontaneous remarks so his behavior in the days ahead could well undermine his calls for unity. “We must reject the politics of revenge, resistance and retribution,” the President said. If he can live up to his own admonition, the unifying sentiments of his address may prove to be more resilient than the President’s own recent history suggests will be the case.